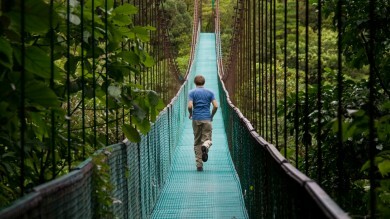 Customize your trip with a local travel expert in Costa Rica. Tortuga Island is a great place to visit on a day trip in Costa Rica. An island paradise complete with white sandy beaches, azure waters, and tall coconut trees swaying to the rhythm of the undeniable sense of luxury and tranquility, this is what lies in store to travelers visiting Tortuga Island in Costa Rica. A quick 90-minute boat ride from Puntarenas (with some of the most epic scenery along the way) is how you’ll start your Tortuga Island tour, and once you’re there, we’re pretty sure it will capture your heart and soul for good. In this guide, we’ll be giving you the lowdown on all you need to know about Tortuga island in Costa Rica. Turtle Island (it’s English name) is famed for being one of Costa Rica’s most idyllic islands, and it’s also one of the country’s most popular day-trip destinations, even though it’s a mere 156 sq. km in size. 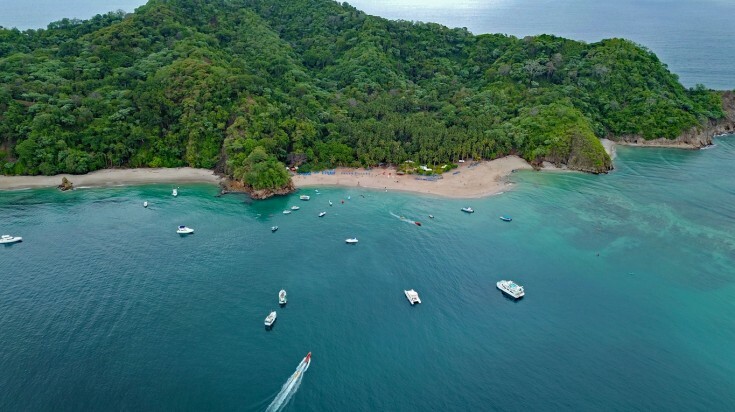 Located just off the coast of the Nicoya Peninsula, Tortuga Island is where tourists flock to see the angelfish, octopus, stingrays, and spinner dolphins during scuba diving sessions. 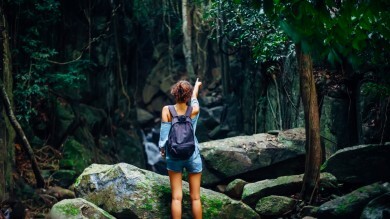 From snorkeling to a hike through the landscape’s forested hills, this is where you can truly break away from the hustle and bustle of Costa Rica for some well-deserved rest and relaxation. If you’re a little more of an adventure junkie, there’s a canopy tour and zip line which will spoil you with some of the most breathtaking views you’ll see during your trip to Tortuga Island. And then there’s water bikes, kayaks, and glass bottom boats which offer a little aquatic fun for travelers from all walks of life. Boats approaching Tortuga Island in Costa Rica. Depending on your personal preference and budget, there are quite a few ways in which you can go about the Tortuga Island cruise experience. Boat tour operators can be found in all the major cities including Jaco and Puntarenas, and on average, they all offer 90-minute cruises which run to and from Tortuga Beach, Costa Rica. If you are based in San Jose, a 1.5-hour bus transfer gets you to Puntarenas, from which you’ll make your way to the Peninsula village of Paquera. You can choose to take a boat cruise to the island or make use of a private charter plane, the latter of which is the most expensive but quickest way to get to Tortuga Beach, Costa Rica. The ferry that runs from Puntarenas to Paquera departs daily at 5 am, and 9 am. Once you’re done exploring the island and soaking up the natural beauty, you can take the 5 pm ferry back to Puntarenas. Snorkeling in Tortuga Island in Costa Rica. 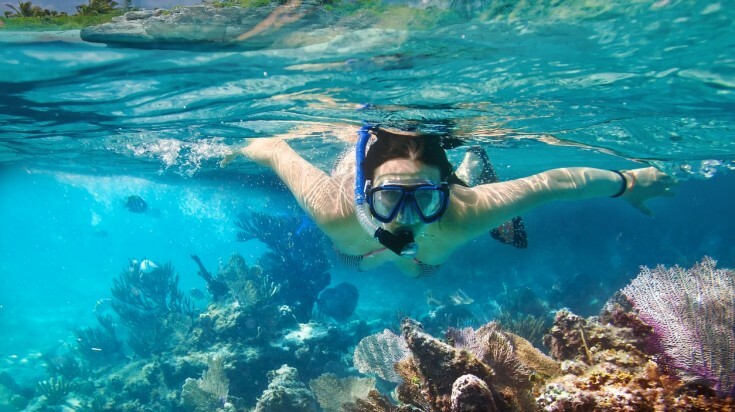 Most visitors that undertake a Tortuga Island Tour do it for the remarkable snorkeling and diving opportunities on the island. You’ll be amazed by the huge variety of marine life that call these waters home, including spinner dolphins, sharks, octopus, stingrays, and angelfish. Another excellent option for travelers looking to explore the underwater wonders of the island is scuba diving along the three sunken shipwrecks off the coast of the island. The waters here happen to be one of the most unique dive sites in Central America, which means that you’ll be left in amazement with each new sighting. Taking some time to explore Tortuga Island is a great way to escape the cities such as San Jose, which means that the island offers the perfect opportunity to reconnect with nature and just put your feet up for a while. Take this five-day tour in Costa Rica and spend a day on Tortuga Island. Go sea kayaking and enjoy the pristine waters around Tortuga Island. Renting a sea kayak is another option for travelers looking to explore the island beyond the beaten track. 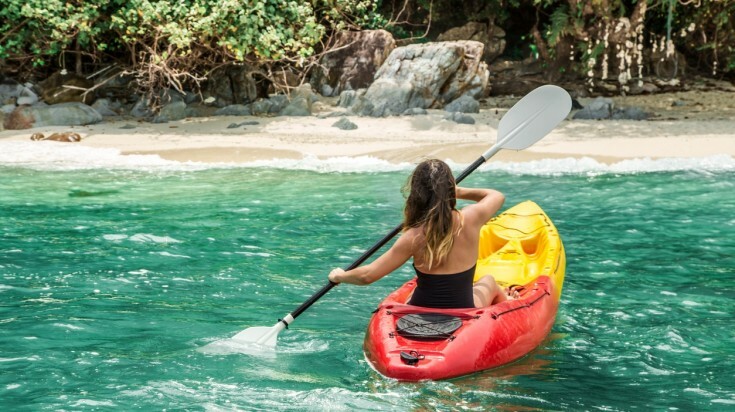 Kayaks can be rented on the island and provide you with the perfect opportunity to lose yourself in the natural beauty of these pristine waters. Take a 6-day family vacation in Costa Rica and kayak at Tortuga Island. Scattered along the island shores, quite a few BBQ-style restaurants are waiting to treat you to some fantastic delicacies. Be sure to sample some of the excellent island cuisines including seafood and vegetarian delights before you make your way back to the mainland. You also get a choice of Costa Rican dishes including Gallo Pinto, Plantains and Costa Rican coffee. Looking to take home some souvenirs from your island excursion? Look no further than the tented shops, scattered along the sandy shores of Tortuga Island. Vendors at the shops sell everything and anything from sweet snacks to handcrafted curios, ideal for depicting your adventures once you get back home. For the fit and fearless, the mountain trails to the tip of the island offer a great way of combining a workout and a nature walk. Be on the lookout for the local fauna and flora of the island, including the peccary (small pigs) which is part of what makes the surroundings so magical! Spend a relaxing day on the beaches of Tortuga Island. Since Tortuga Island is a tropical destination, there really isn’t a wrong time to plan your trip. The waters here usually offer visibility between 10 and 30 meters, but the clarity gets less-than-great during the rainy season, which runs from May through November. 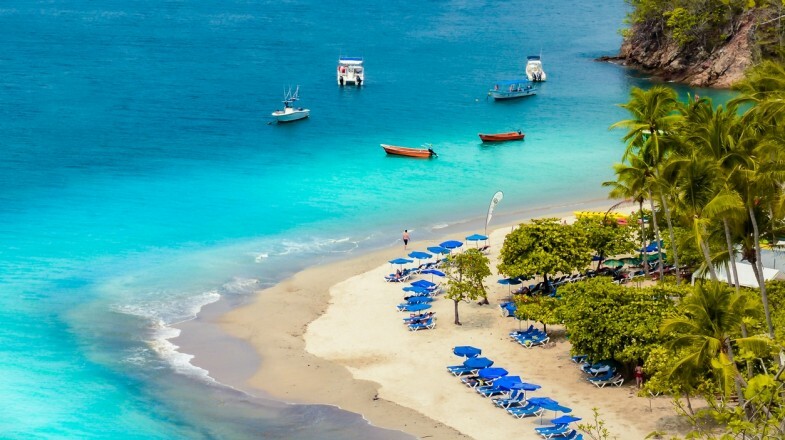 This means that the ideal time to plan a trip to the island would be between December and April, especially if you plan on diving and snorkeling, which is the island’s main attraction. Even though visibility is generally said to be between 10 and 30 meters, depending on the weather conditions, the real average visibility is 18 meters. If you plan on scuba diving, make sure you’re equipped with the right gear and a 2 or 3mm wetsuit. If you don’t plan on taking your own wetsuit out to the island, you can always rent one from one of the various dive operators in the area. The waters around Tortuga Island are home to an amazing array of marine animals including green sea turtles and huge manta rays, so make sure you pack your underwater camera to capture special sightings. If you’re on a tight budget, try traveling to the island during Costa Rica’s rainy season, which spans from late April through November. You’re bound to score discounted deals, and the crowds will be much thinner than they are during the peak season. We hope that you have enjoyed reading this post and that it has provided you with all the information you’ll need to plan and have an epic experience on the beautiful Tortuga Island in Costa Rica! After reading through this article, you should be equipped with all the details you’ll need to get to Tortuga Island and have the best day trip of your life.